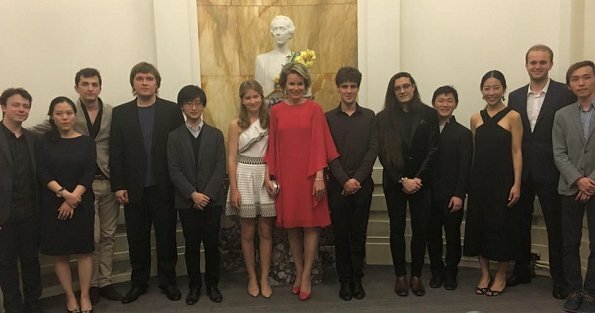 Queen Mathilde and Crown Princess Elisabeth of Belgium attended the finals of the Queen Elisabeth Cello 2017 Competition that held in the Henry Le Boeuf Great Hall at the Bozar - Centre for Fine Arts on June 3, 2017 in Brussels. Victor Julien-Laferrière has won the 2017 cello competition! Mother and daughter both look lovely. Yes, although I don't like Elisabeth's dress, but that's just me. 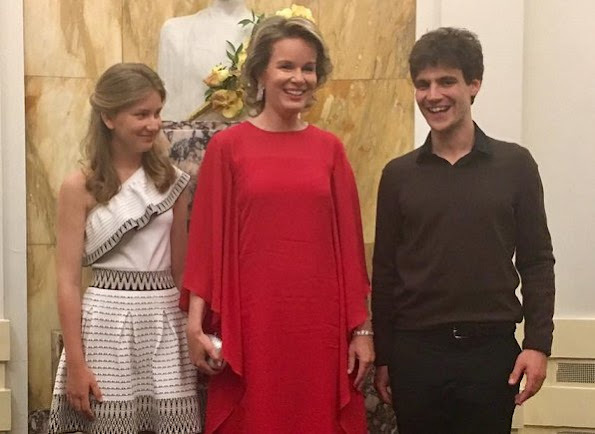 Mathilde always looks so well put together compared to "Maxima-with-the-wild-hair", who would look so nice if she styled her mop. Both look charming. I'm not crazy about Elisabeth's dress but she looks sweet. Growing up! Elisabeth a les audaces d'une adolescente,elle se calmera . The Princess looks lovely in her "Teeny-summer-dress"! Her face shows much similarity to her Dad. And to her great-grandmother the late Queen Astrid. At almost 16 she looks like a teenager, unlike another royal lady that they dress like she is 8 years old and is only 2 years younger. El vestido de Mathilde es un poco "fantasmal" y el de la joven princesa es un poco extraño, pero ya encontrará su estilo en unos años. Elisabeth is the spitting image of her dad's grandmother, the beautiful queen Astrid! That's what I said a few times but a Belgian lady contradicted me, saying there was no resemblance at all. I say there is, to the young Astrid when she was about 12 or 13 years old, the resemblance is striking.